brandflakesforbreakfast: iPhone periscope makes stalker photography a breeze! iPhone periscope makes stalker photography a breeze! Admit it – taking pictures of strangers doing wacky things is arguably the best part of having a camera phone. Now, Brooklyn-based photography company Photojojo has developed a Smartphone Spy Lens to make your incognito photo-taking easier than ever! For only $20, users can easily attach the contraption to their iPhone camera with a magnet. 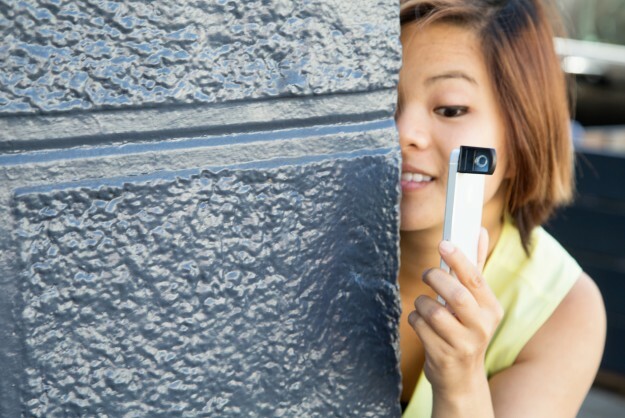 Because of the 90-degree angle, this enables straight-on photos to be snapped without even your breaking texting form.